As Jon Jones ground and pound Daniel Cormier into the core of the earth, the resulting tremors of his victory were felt around the globe. Jones is back and everyone is talking about it. The 30-year-old retained his light-heavyweight title and with it, a future as the UFC’s leading star. In the absence of Conor McGregor and Ronda Rousey, the UFC has been shorn of a legitimate pay-per-view draw. But with Dana White claiming UFC 214 is trending to hit one million buys, they have a worthy replacement in Jones. The manner of his win in Anaheim was justification of that claim because ‘Bones’ is box office, the best in the world and the greatest this young sport has ever seen. At the age of 30, his hit list of prominent victims reads: Bonnar, Bader, Shogun, Rampage, Machida, Evans, Belfort, Sonnen, Gustafsson, Teixeira, Saint-Preux and Cormier times two. That record is absurd, he’s cleaned out the 205lbs division and the only element of interest resides in the land of the big men with Jones now targeting the biggest of them all. A USADA suspension which still has six months left to run means any hope of a 40-year-old Lesnar returning to take on Jones is, for now at least, a fantasy. But it didn’t stop the WWE superstar from fanning the flames. “Be careful what you wish for, young man,” Lesnar told the Associated Press. On the evidence of Saturday, a superfight between the two would be a complete mismatch because Jones possesses otherworldly talents and he used them to knock Cormier out of this one. Granted, the first two sessions were competitive as the incumbent closed distance well and found some success with his dirty boxing in close, the highlight of which saw him knock Jones’ mouthguard out in the opening round with a string of uppercuts. But on the perimeter Jones always looked deadly, his 12 inch reach advantage almost comical as he persistently kept Cormier at distance with his hands outstretched, akin to holding a child at bay with a hand on their forehead. ‘DC’ found his rhythm in the second but in the third, a shuddering head kick changed the entire complexion as Jones’ shin connected flush on chin. Cormier staggered back and Jones ruthless in finding the finish hunted him down, astutely tripped his wounded opponent before applying hellacious ground and pound strikes. Understandably, Cormier was emotional post-fight as he was left with the bitter taste of a second defeat to Jones who remains the only man to beat him in MMA. It was a harsh assessment from Cormier because in another narrative he is the No1 fighter. Jones, though, is simply unrivalled in this sport and after this victory, the whole world is in his hands. Ensuring it doesn’t slip from his grasp again will be his greatest challenge. 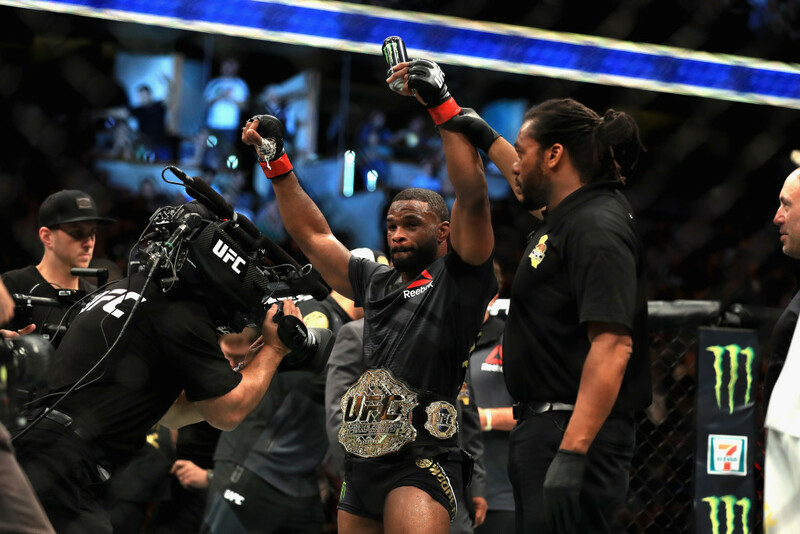 UFC 214 provided the promotion a much needed shot in the arm after a lacklustre first half of the year. Top to bottom the card delivered on its hype, topped out by a phenomenal performance by Jon Jones to regain the UFC light-heavyweight belt from Daniel Cormier. Away from the main event, though, key narratives formed so here are four things learned from UFC 214. It was foolish to have hoped UFC crowds had outgrown booing and jeering fighters but the moronic gesticulating returned in the co-main event of UFC 214. 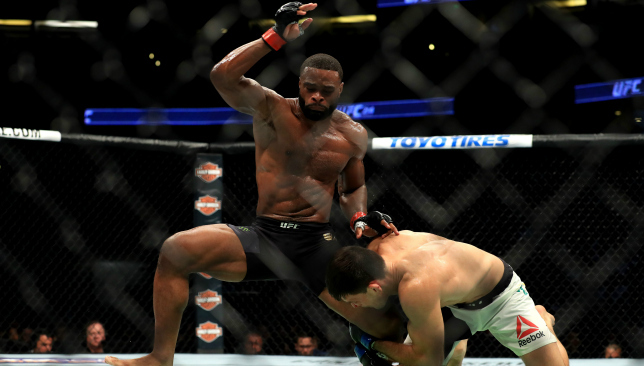 Yes, Tyron Woodley’s win over Demian Maia was far from enthralling but booing any fighter who steps foot into the Octagon is infuriatingly obtuse. The welterweight champ faced a challenger who has suffocated his last seven opponents, a BJJ specialist who will capitlise on any error. Caution reigned supreme but at the highest level of competitive sport, and this is a sport despite the separating line from entertainment ever more blurring, finding a way to win supersedes the performance. Punishing the champ, who is undefeated in his last six fights, by taking away a clash with Georges St-Pierre is ruthless and the ensuing criticism from fans and UFC president Dana White harsh at best and at worst degrading. A UFC belt wasn’t required for confirmation but by adding the featherweight strap to her collection, Cyborg cemented her spot as the greatest women’s MMA fighter ever. The Brazilian, is virtually unbeatable and her dominance unquestionable. Victory is a matter of when, not if and against a tough as nails Tonya Evinger the ‘when’ was the third round. Evinger recovered from a first-round knockdown to at least delay the inevitable before being crumpled by hard knees to the body in the third session. Cyborg has long been anointed the best female MMA fighter on the planet and with UFC gold wrapped around her waist, she has the crown to legitimise that claim. And for the first defence of her title, Cyborg targeted one of the best strikers in the game, Holly Holm – serve it up. The fun is over, now it’s time to get back to business. Former welterweight champ Robbie Lawler stepped back into the Octagon for the first time since losing the belt to Tyron Woodley and he took a decision against Donald Cerrone. From a rankings perspective the fight did nothing for Lawler but as a savage spectacle, watching these two high-output strikers go toe-to-toe was the brawl we all imagined it would be. As Cerrone said after defeat “that was fun” but Lawler was typically stoic in victory as he put himself firmly back in the title picture. The performance didn’t inspire too much confidence as he scraped the first and final round but welterweight isn’t exactly flooded with contenders right now and if Woodley has lost out on the GSP fight then Lawler could be next. It took Volkan Oezdemir 42 seconds to replace Jimi Manuwa as the man next in line for a potential 205lbs title shot. The Swiss has taken out two light-heavyweight contenders in just 70 seconds as he followed up the 28 second stoppage of Misha Cirkunov with a dynamite finish of Manuwa. And both have come from shots with virtually no leverage, just short and accurate strikes to the chin, a sneaky left-hook in the clinch taking the legs from Manuwa before he bounced his head off the canvas. 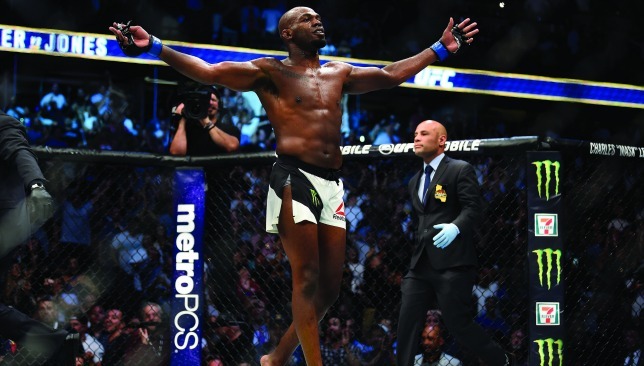 It marked his third straight win in the UFC and fifth overall capping a remarkable ascension in the last five months from complete unknown to top-five light-heavyweight and a contender for 2017’s breakout fighter. A story of revenge versus redemption, good versus evil, old versus young – the antagonistic narratives don’t end there but Daniel Cormier versus Jon Jones 2 is undoubtedly the most important fight this year. The long-time animosity between these two warring light-heavyweights will reach – well, hopefully reach – some sort of climax at UFC 214 next weekend. And that is said with a caveat because we’ve been here before, days out from the most anticipated rematch in UFC history only to see it scrapped, our hopes for a conclusion dashed. Indeed, Jones and Cormier have been metaphorically joined at the hip since 2010 – metaphorical of course because in reality any time they are within each other’s air space they invariably turn it blue. They are two characters juxtaposed yet inseparable, both at the centre of each other’s narratives, married by their hostility and a common detestation. But the authenticity of their rivalry is rare, even for a sport built on aggression, so few have experienced the tangible heat of Jones and Cormier. The feud hasn’t decayed despite two cancelled rematches following Jones’ dominant decision victory in their first bout back in 2015. In fact, after another cooling off period in the wake of the former champ’s year-long suspension for a failed drugs test three days before UFC 200, the bad blood is boiling again. Cormier laughed then explained: “I have no desire to be friends with him. In terms of respect for his abilities, sure. He’s a great fighter, I’ve always said he’s a great fighter. “But every time going forward we see each other, there’s still going to be issues. Because either I’m gonna smack him upside his head or something is gonna happen. That resentful exchange is one of many but each one has built what is now the biggest rivalry in UFC history. 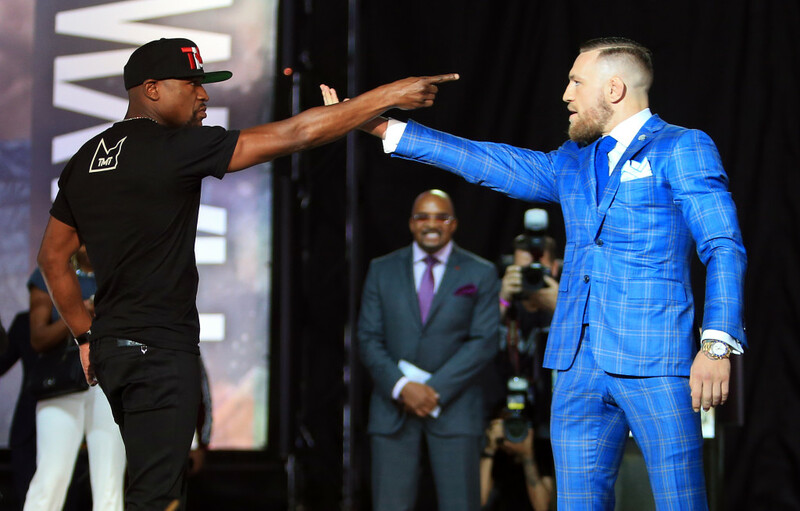 While the faux feud between Conor McGregor and Floyd Mayweather dominates the combat sport landscape right now, Jones and Cormier deserves its own mainstream attention. It’s personal, physical and passionate and it’s just what the UFC needs. Indeed, 2017 has been distinctive in its ordinariness. Injuries have ravaged cards and big name players have been out of the game. But UFC 214’s main event has all the ingredients required to cure their ailments. 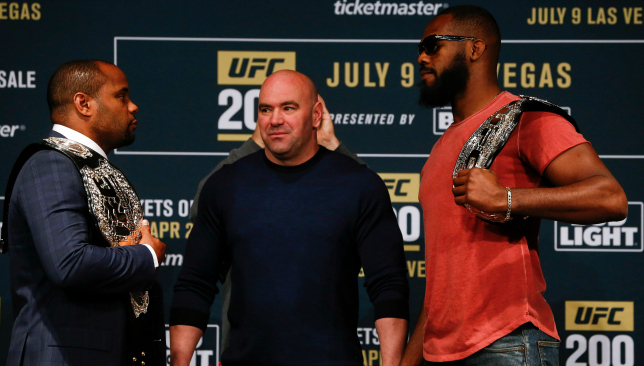 Jones is No1, arguably the best to do it, Cormier the champion in his rear-view mirror. DC has tightened up his game and has looked unshakable in Jones’ absence but his inactivity provides a new layer of intrigue behind the war of words. From a physical standpoint, this fight is blessed with skill and strategy. Has Cormier made the necessary changes? Will he let the emotions envelop him again? What version of Jones will we see? All these questions form part of the foundation for what is the most significant bout of the year. Let’s just hope they can answer them in the cage because the UFC can’t afford for them not to.